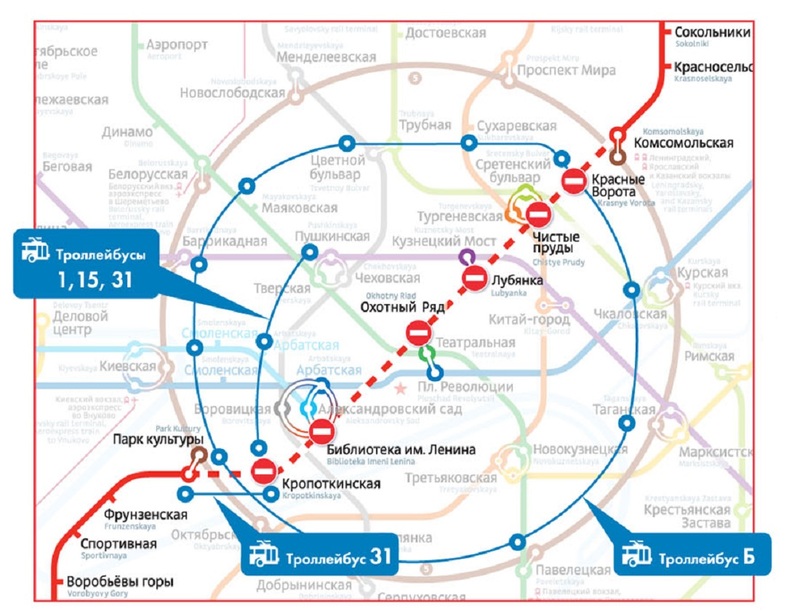 Central part of the red (Sokolnicheskaya) metro line will be closed on October 10 due to repair works. 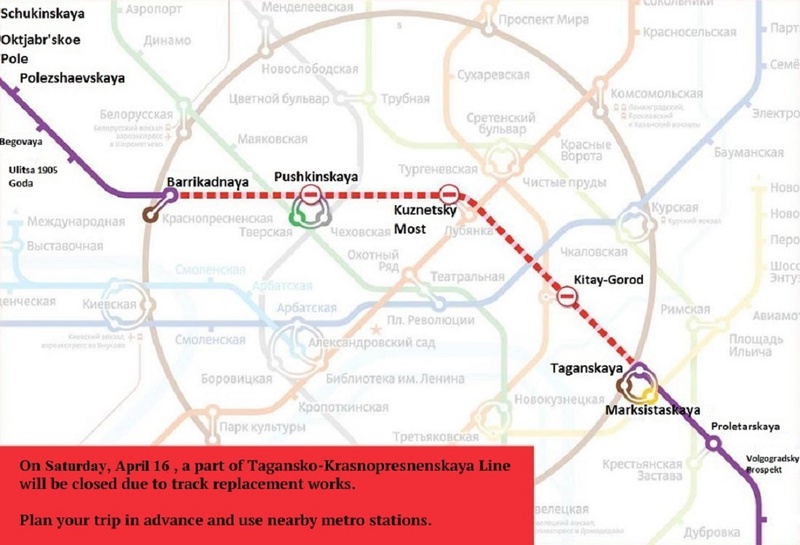 Movement of trains will be suspended in both directions from Komsomolskaya to Park Kultury metro stations until 5:30 am on October 11. For passengers convenience, there will be more buses and trolleybuses on the routes within the restricted zone, and they will run with reduced intervals. 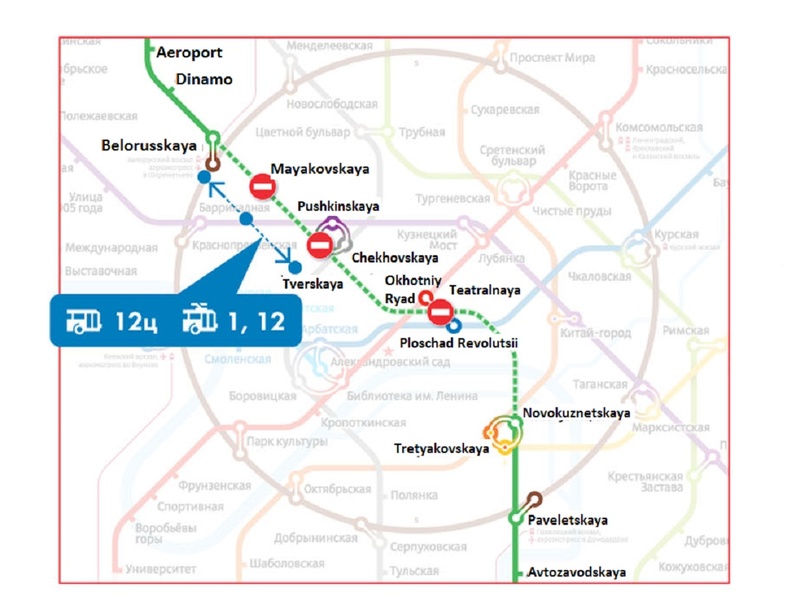 Thus, you can use trolleybuses № 1, № 15 and № 31 that go from Pushkinskaya to Kropotkinskaya station and trolley route «Б» that goes from Kurskaya and Sukharevskaya to the Krasnie Vorota station. 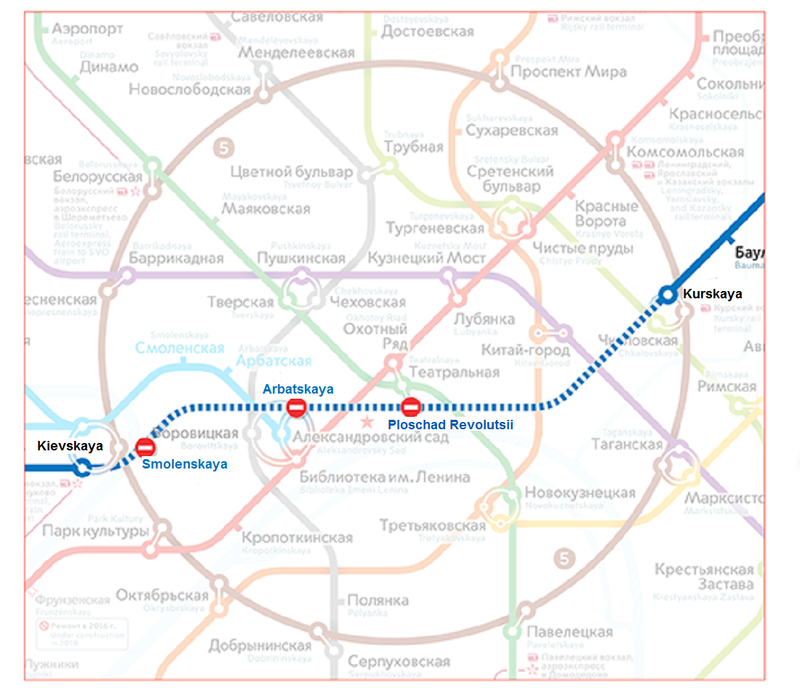 The closed stations will be accessible through the other metro lines.